OPPD's outage map is always available to keep you updated on any power outages in our coverage area. It is the best place to check on the latest number and locations during stormy weather. If you ever experience an outage, call OPPD's outage number at 1-800-554-OPPD or report it online at oppd.com. This map represents a general view of where power outages are located within OPPD's service territory. 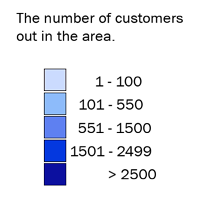 In an outage situation, the individually shaded rectangles represent an area that is 2.5 x 3.5 miles. You may choose to view the outage information by # of customers affected within that area or % of customers affected within that area by selecting the appropriate tab. The information provided is an estimate based on the past 15 minutes and may not reflect current activity. 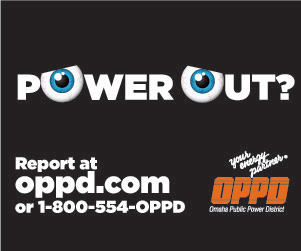 If you are without power and have not reported your outage to OPPD, click here.